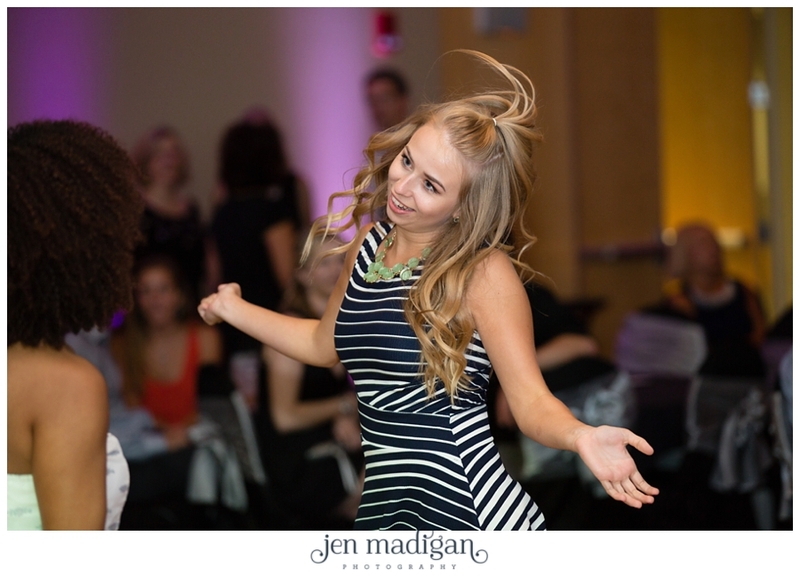 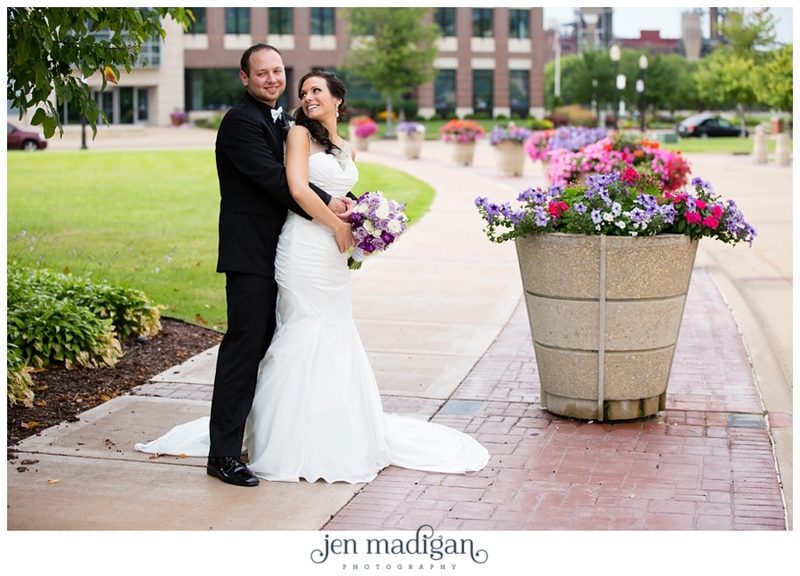 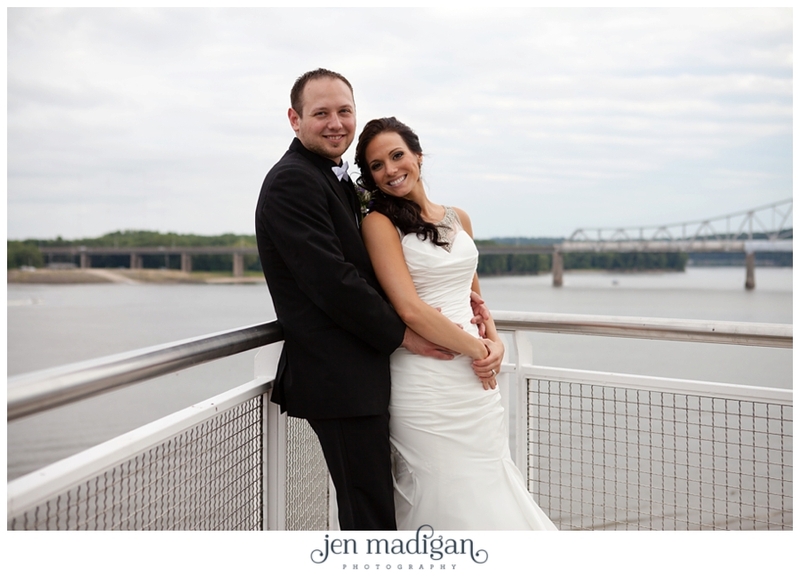 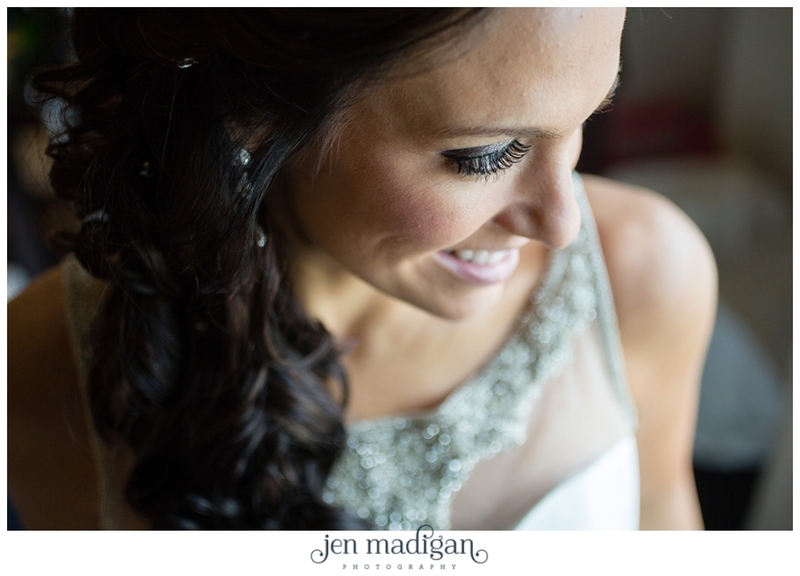 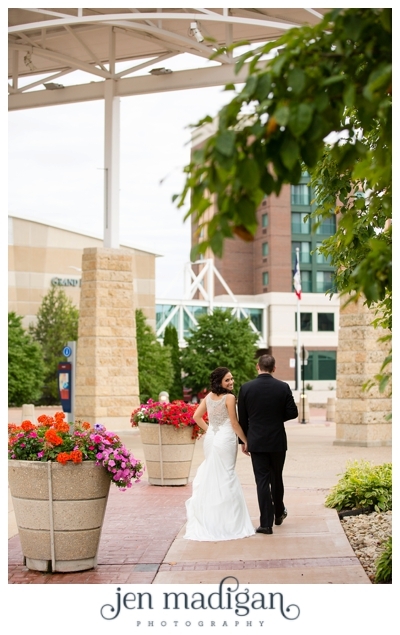 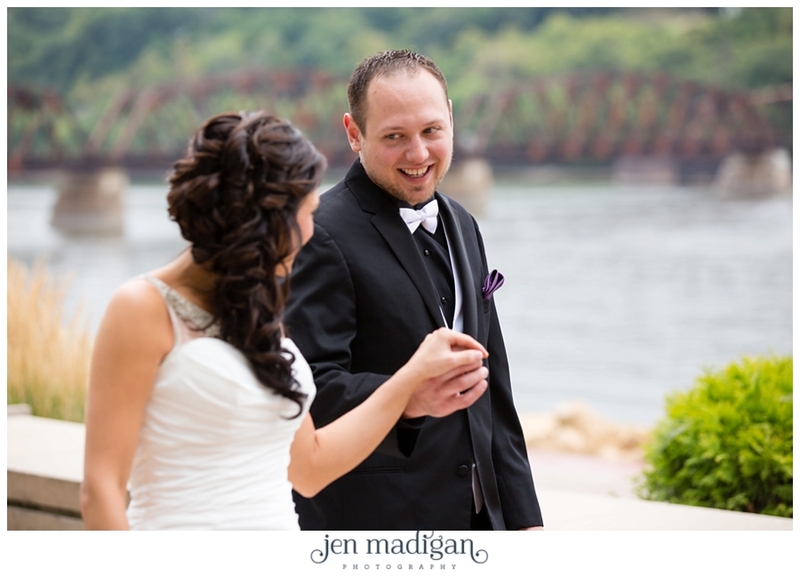 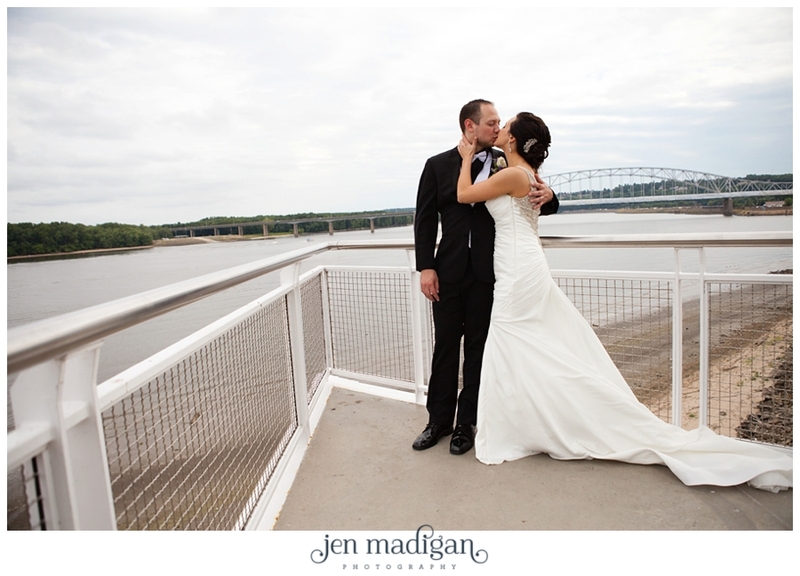 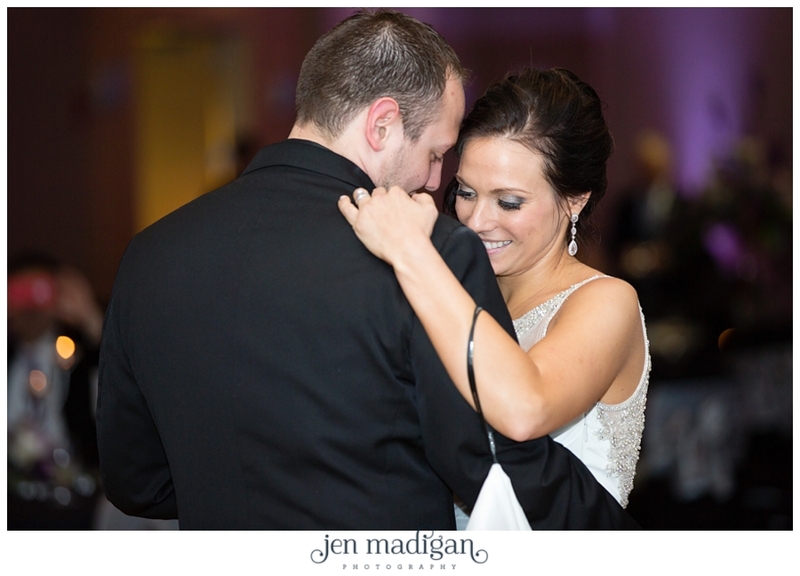 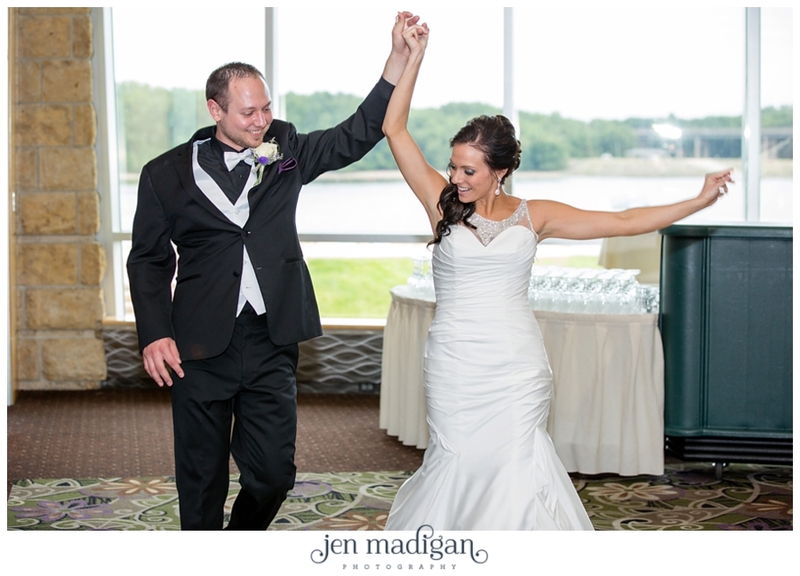 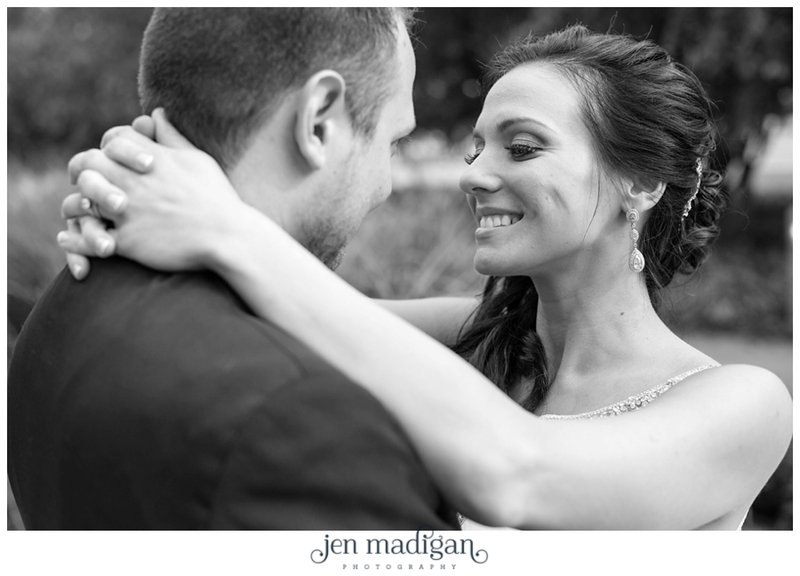 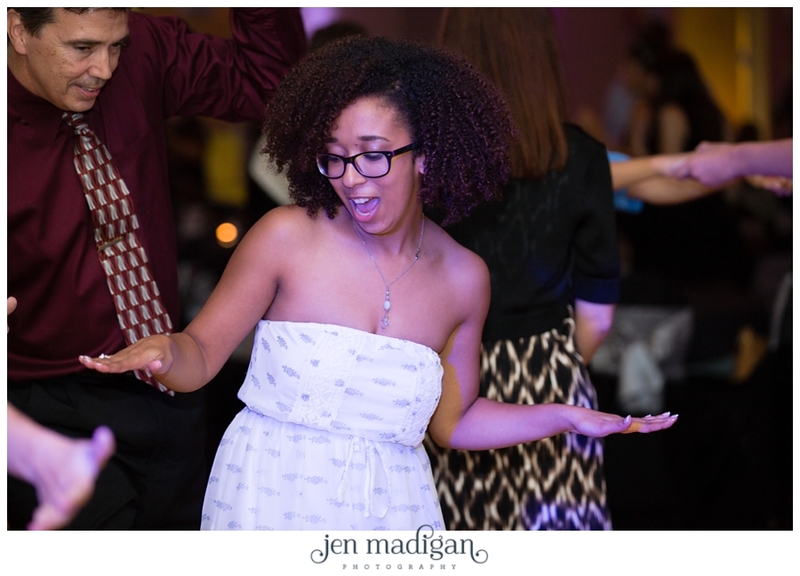 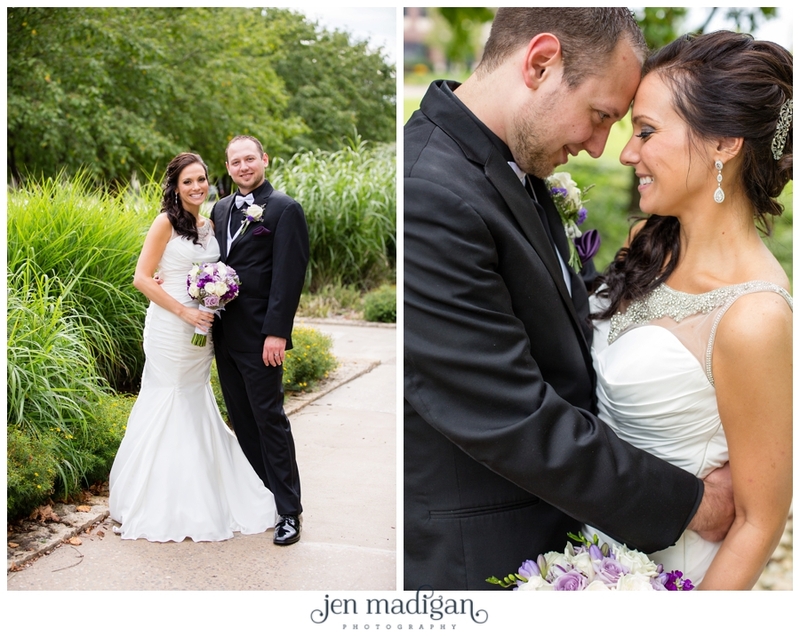 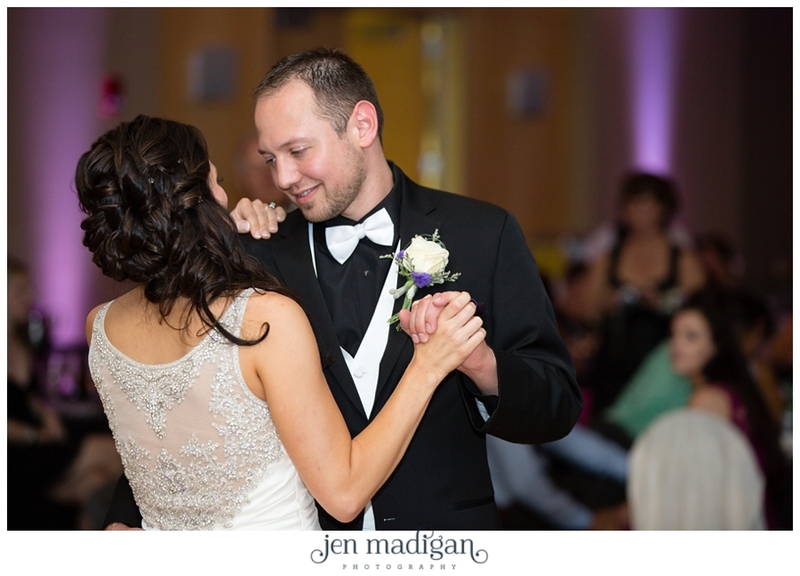 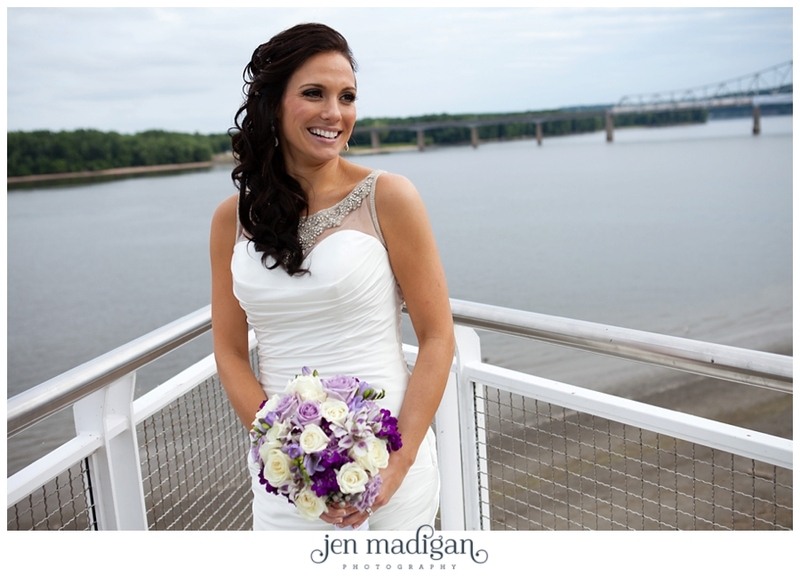 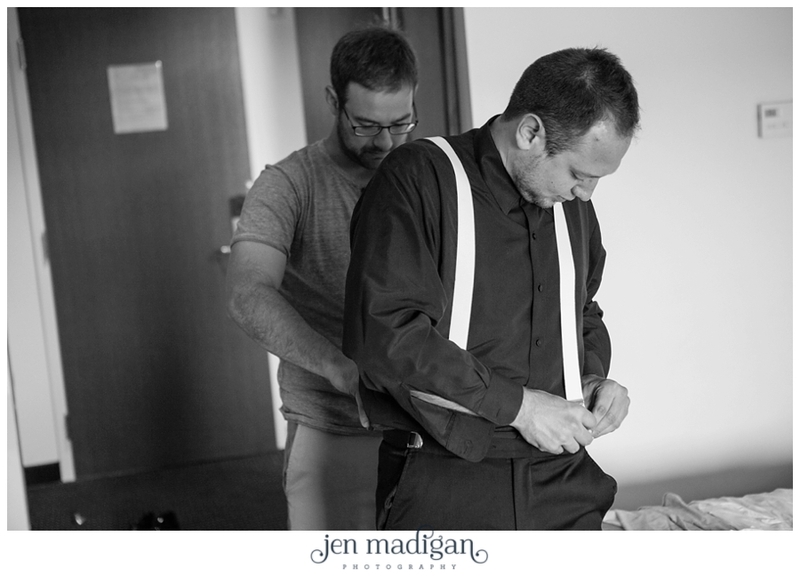 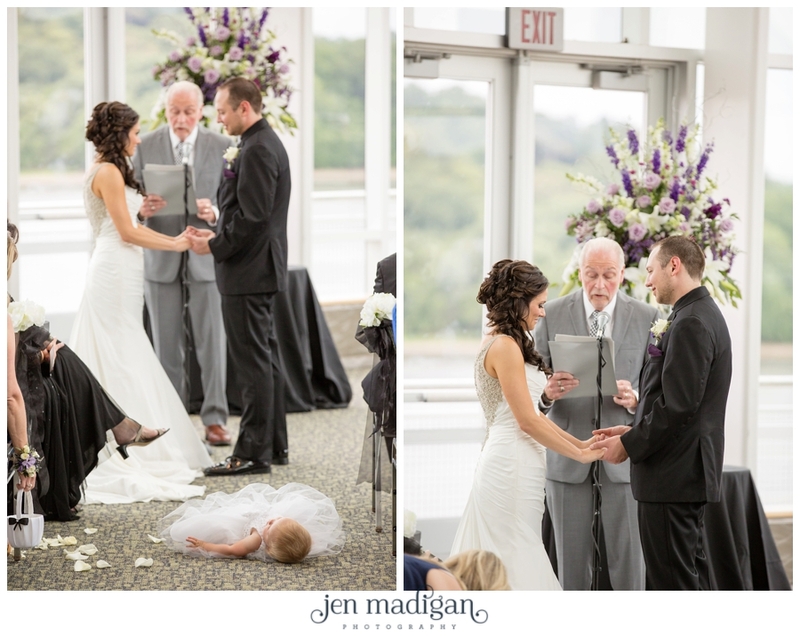 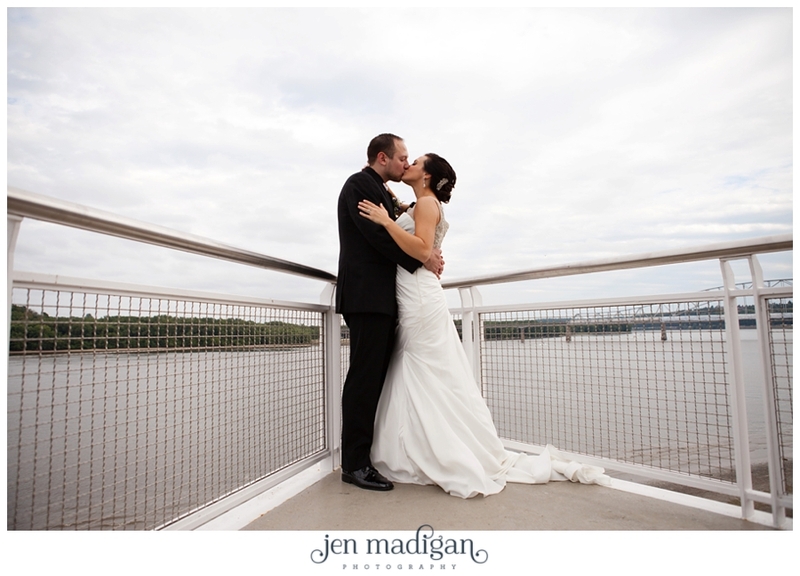 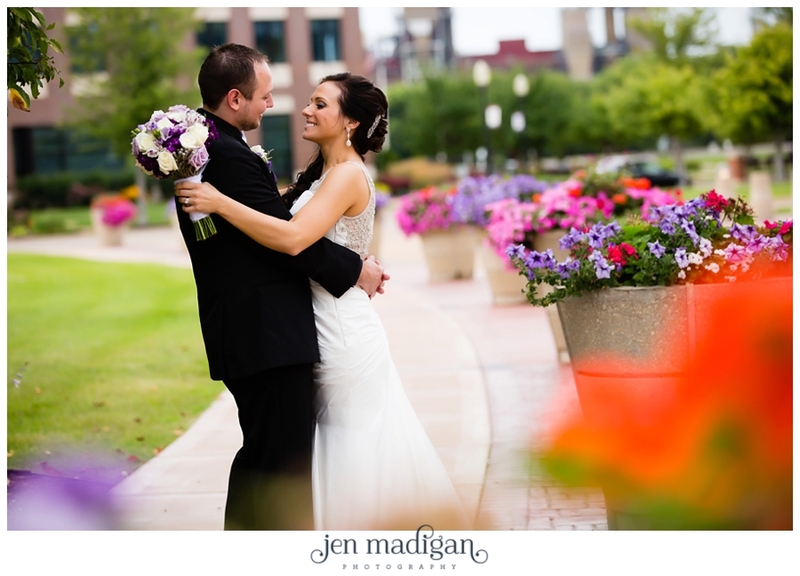 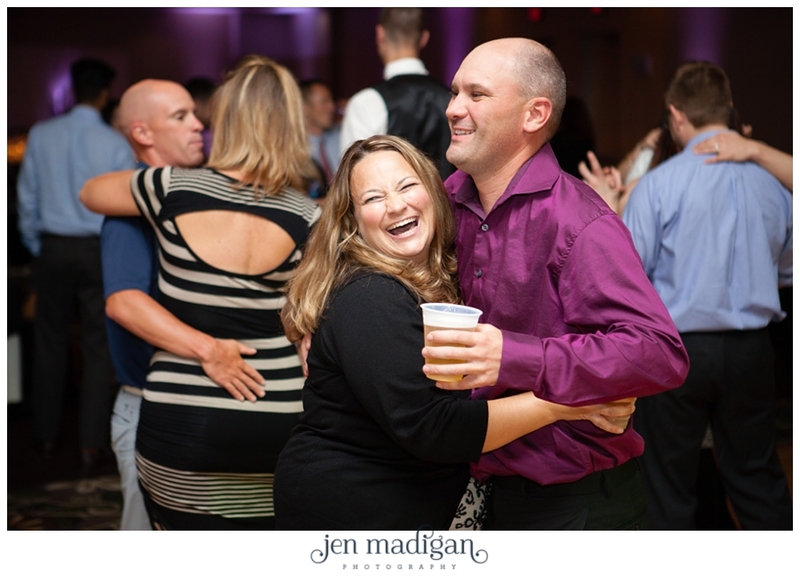 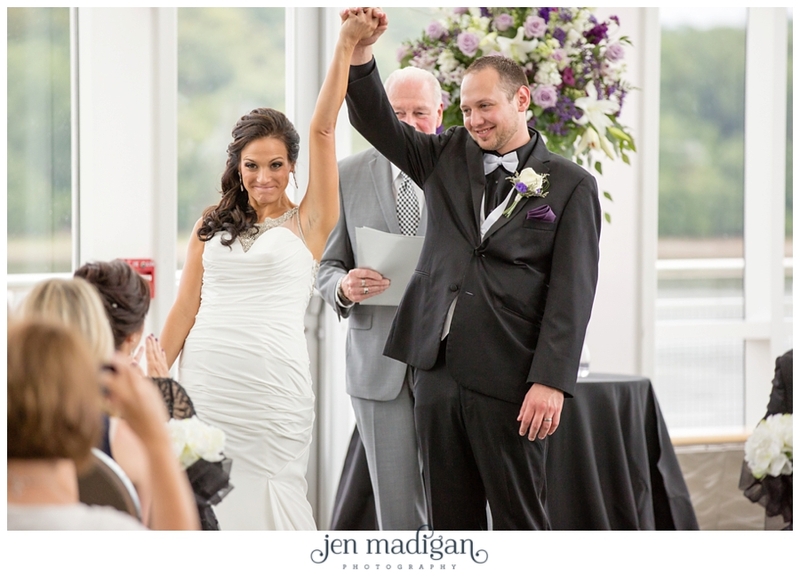 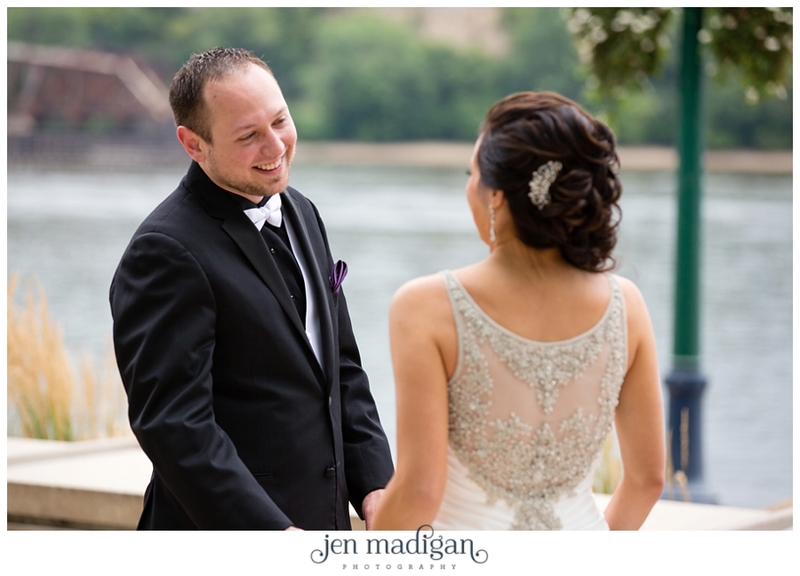 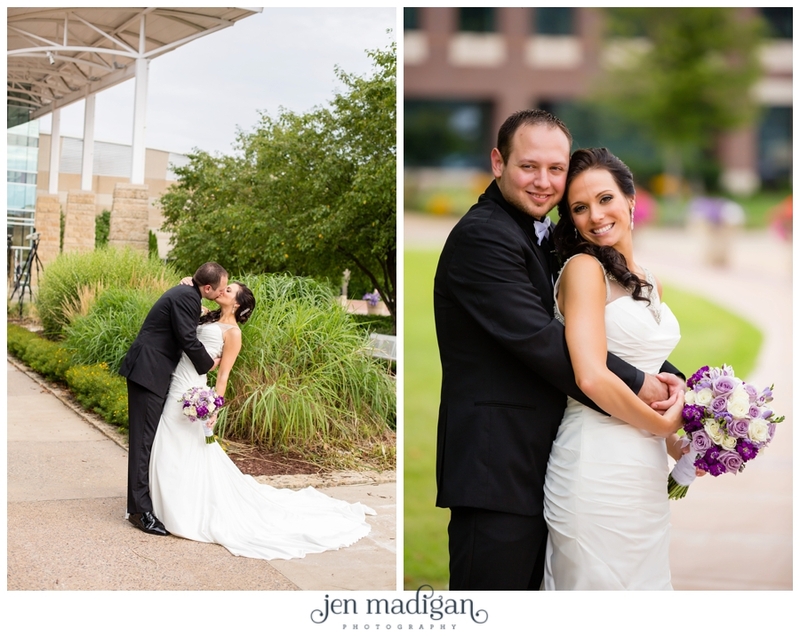 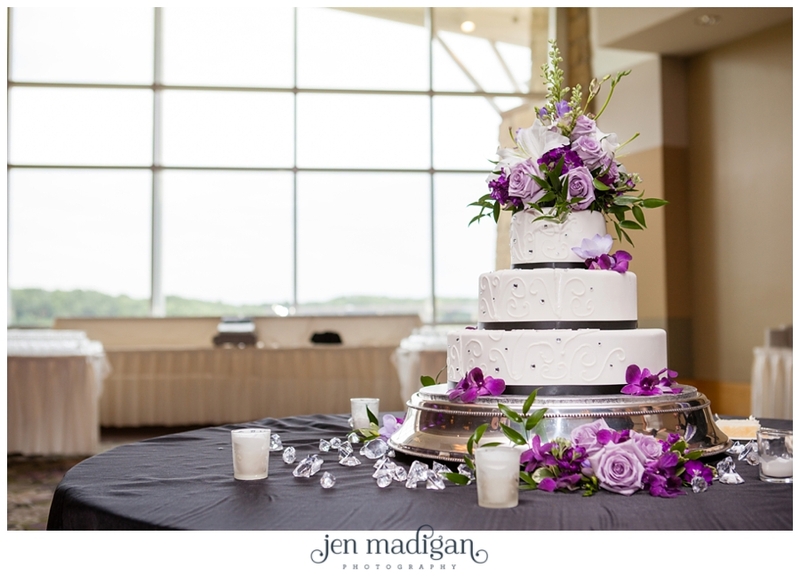 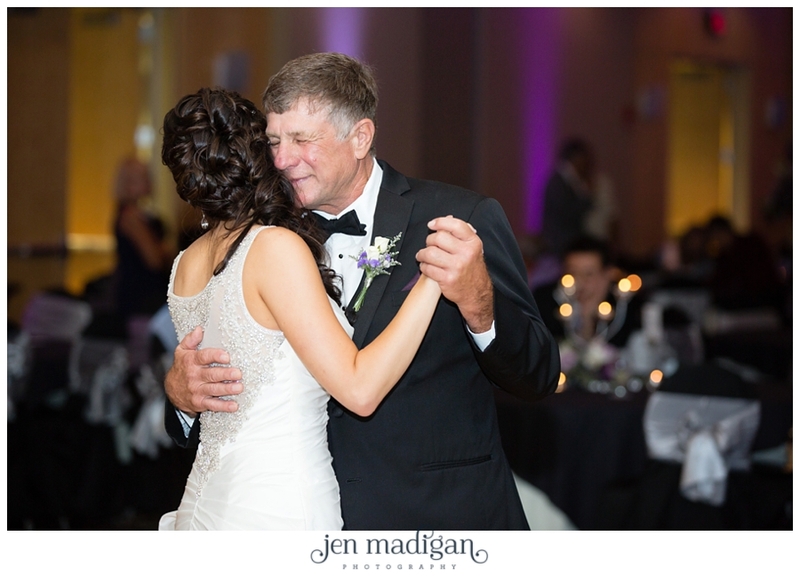 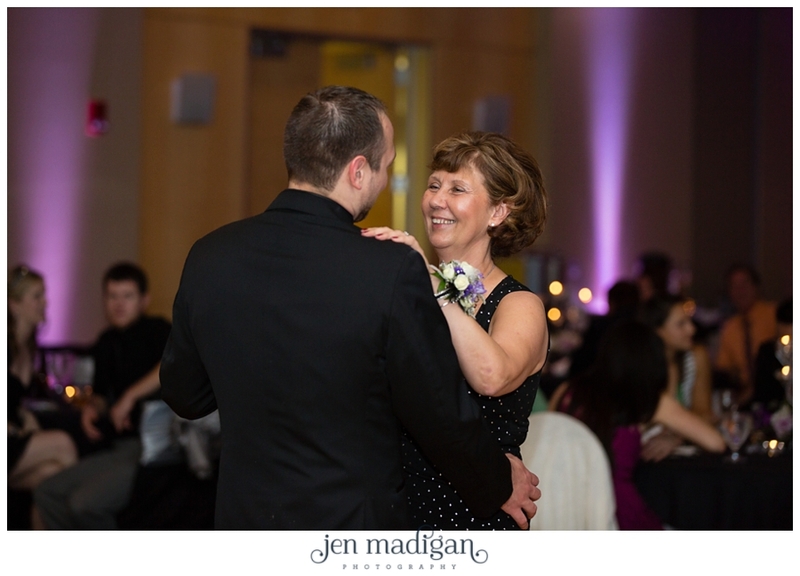 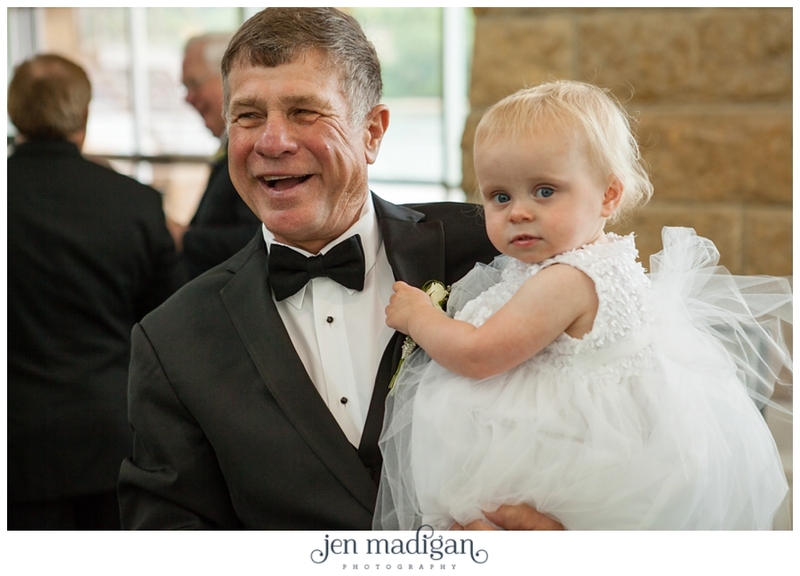 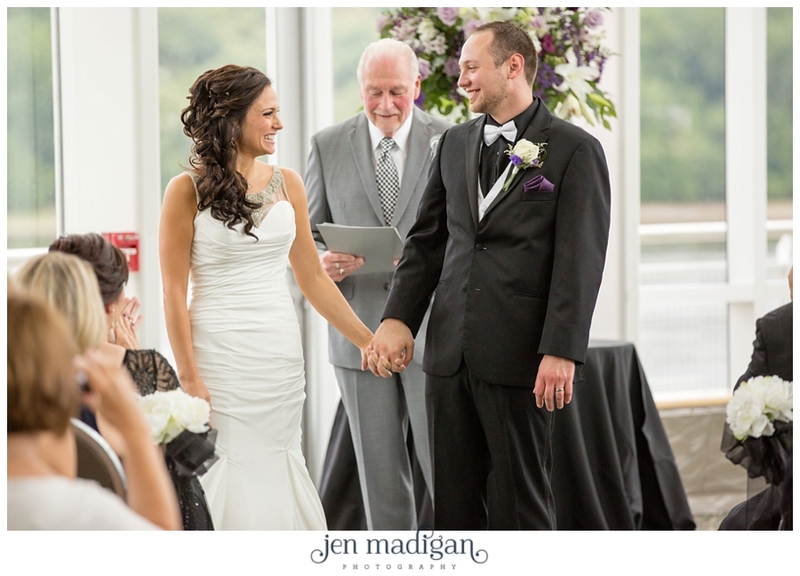 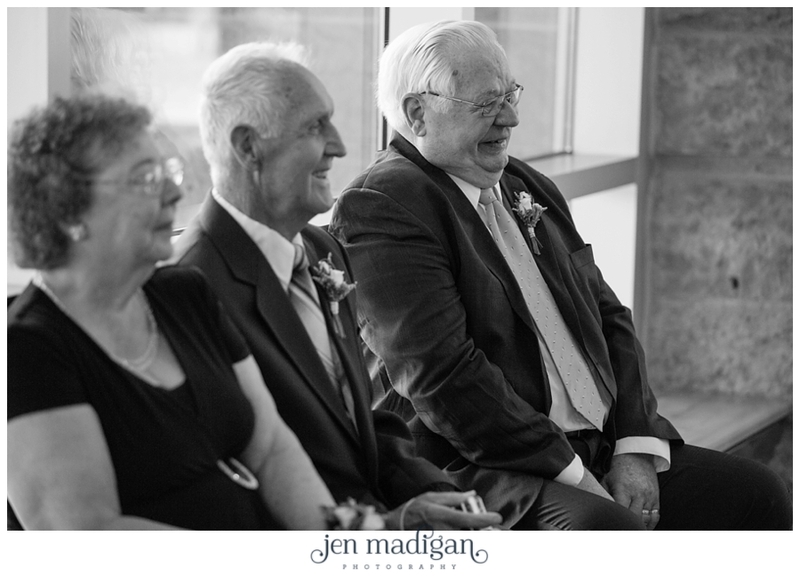 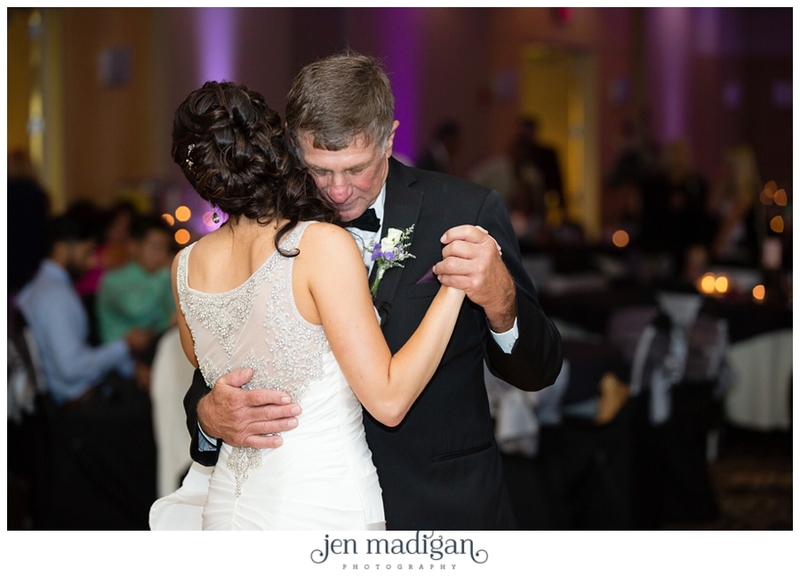 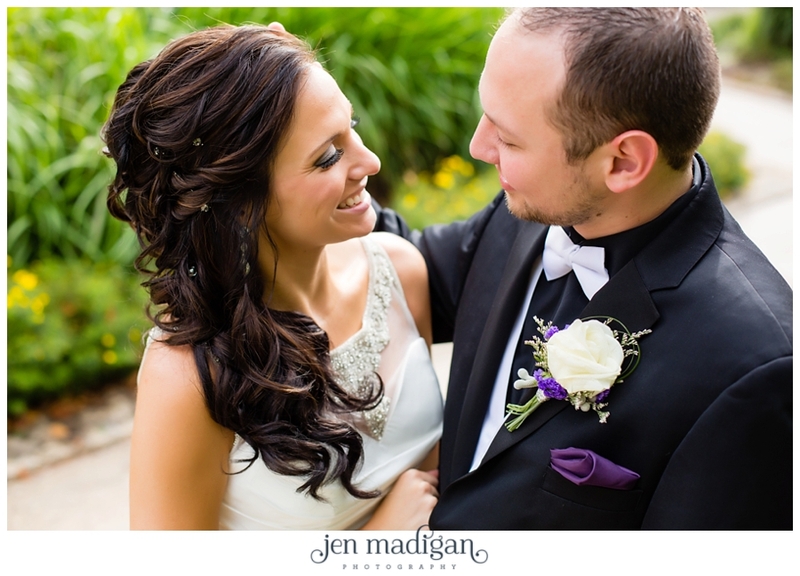 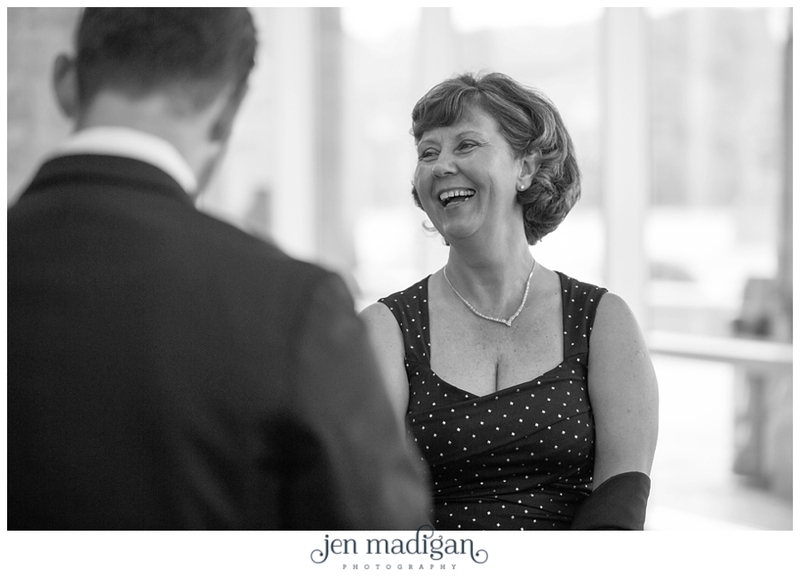 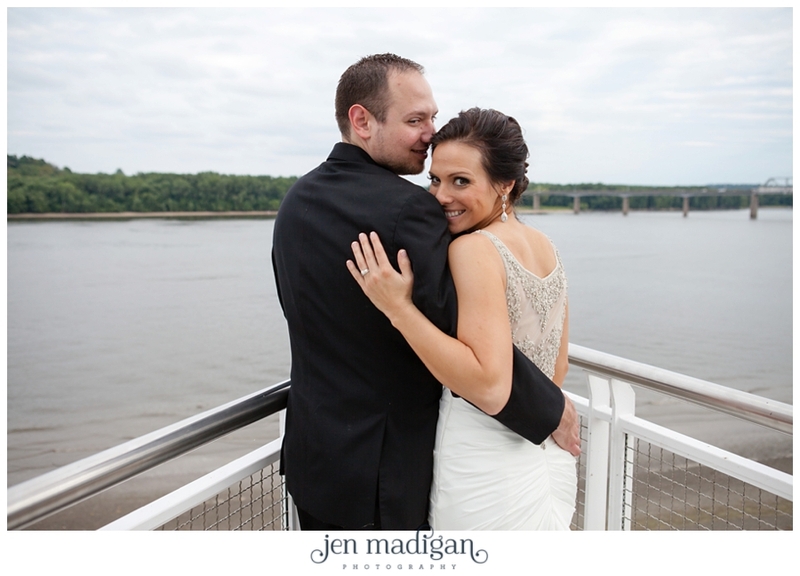 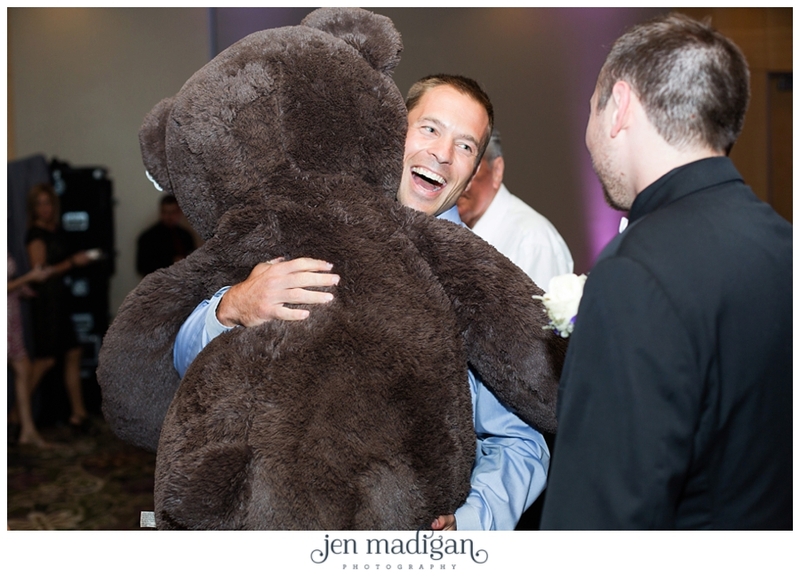 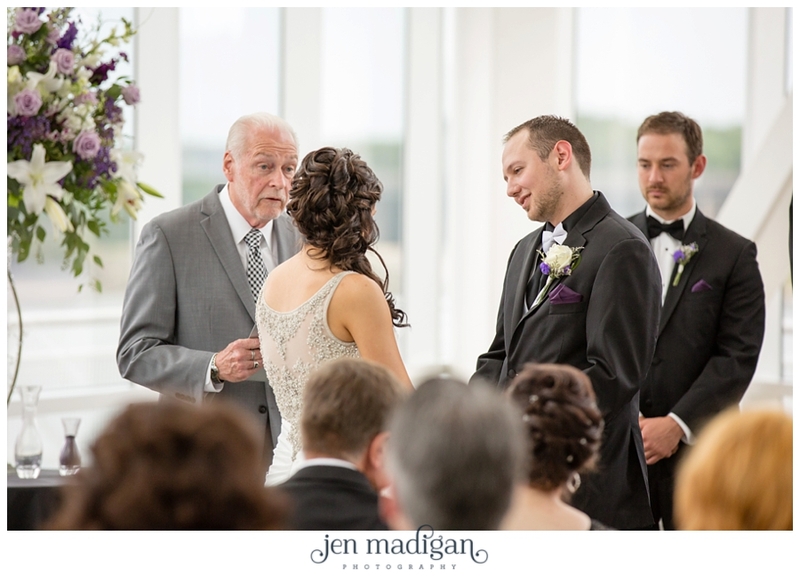 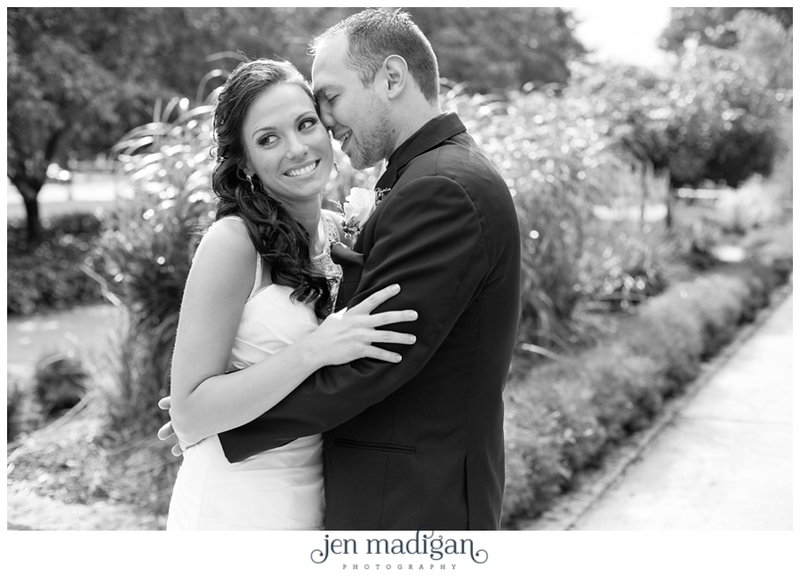 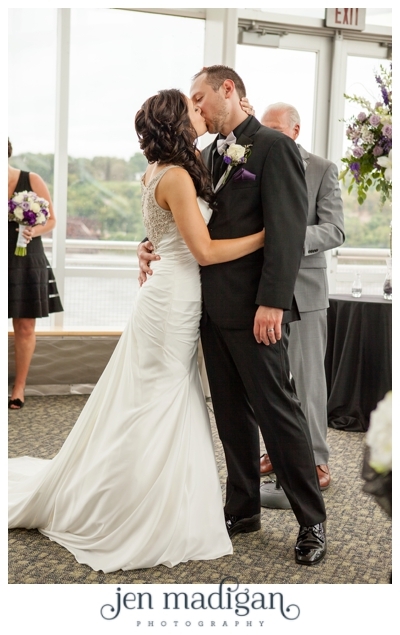 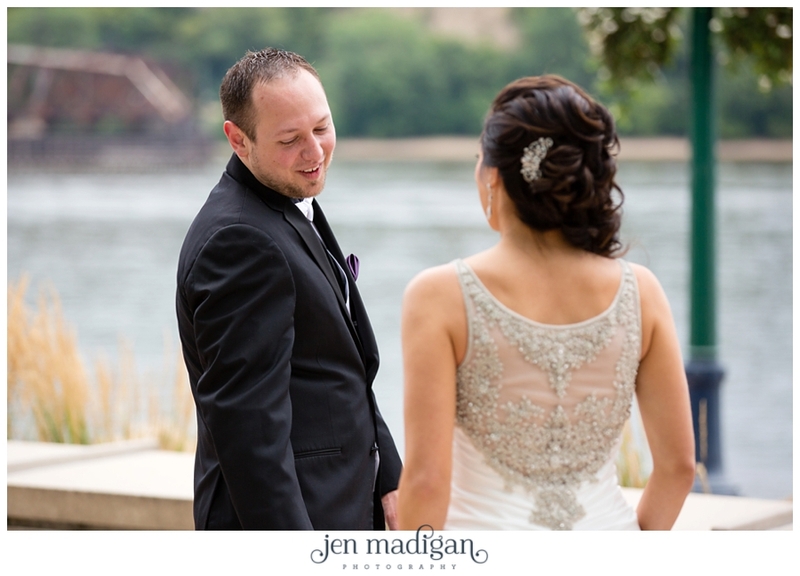 Shayna and Tony were married at the stunning River Center in Dubuque, IA in the Grand River Room on August 8th. 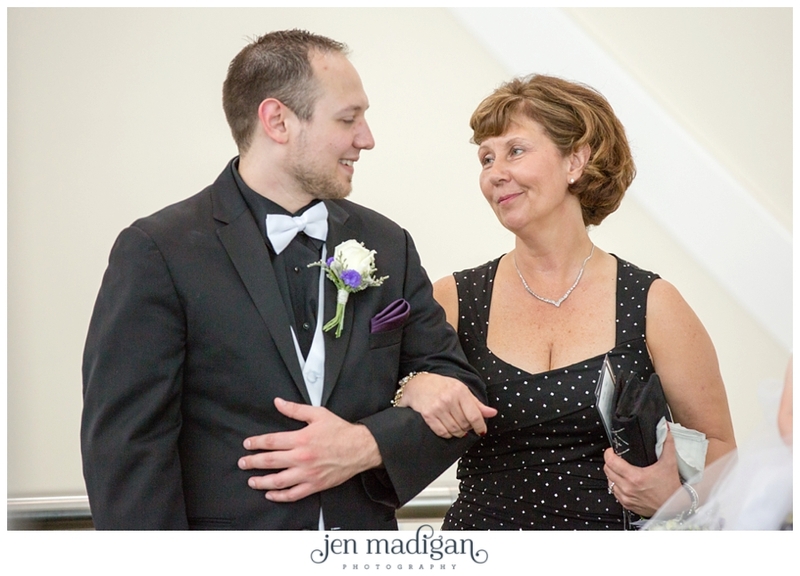 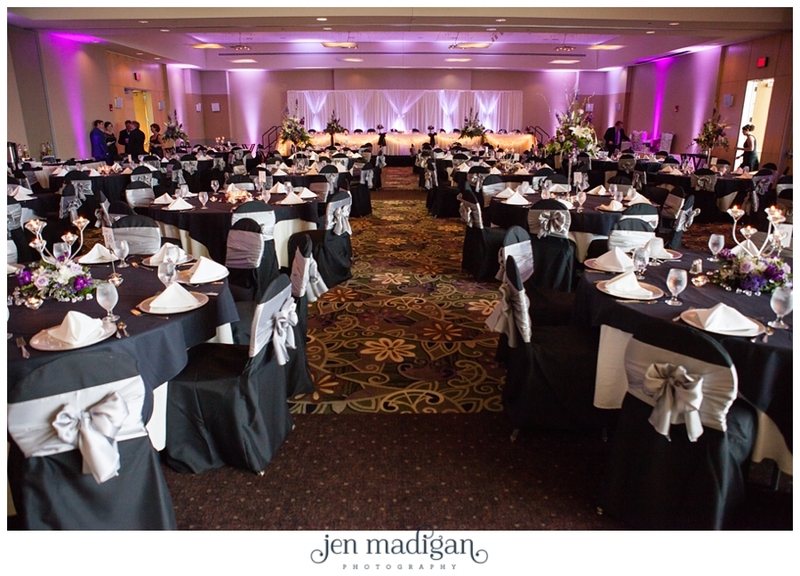 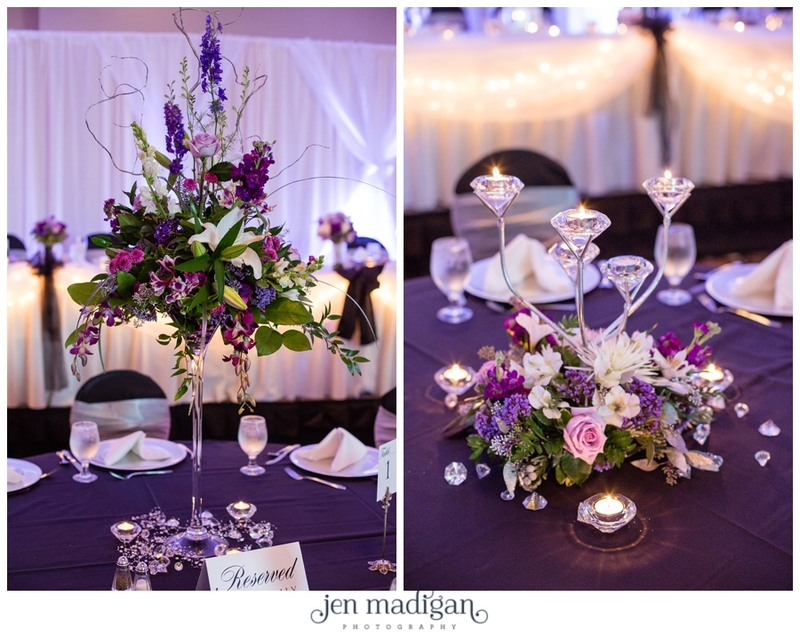 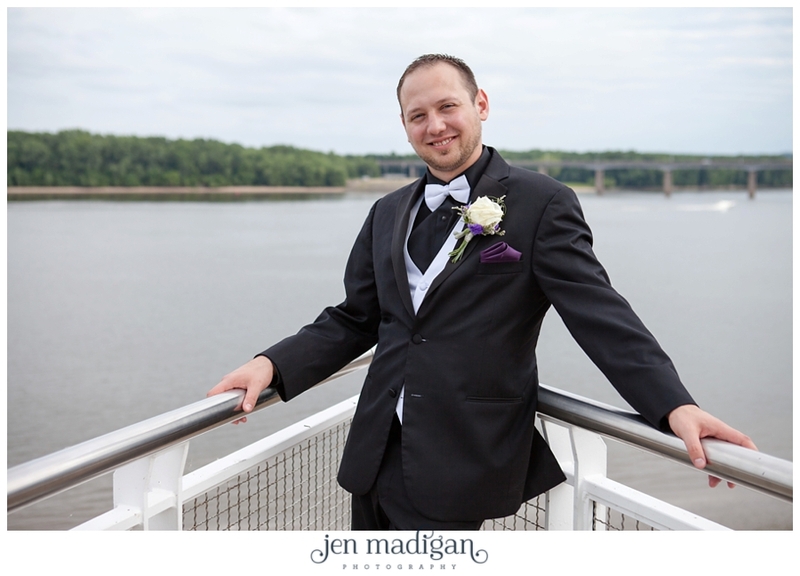 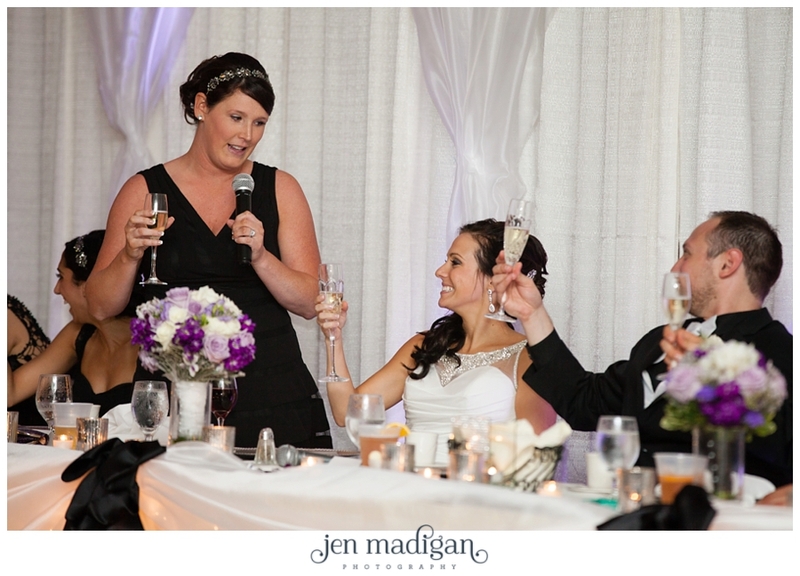 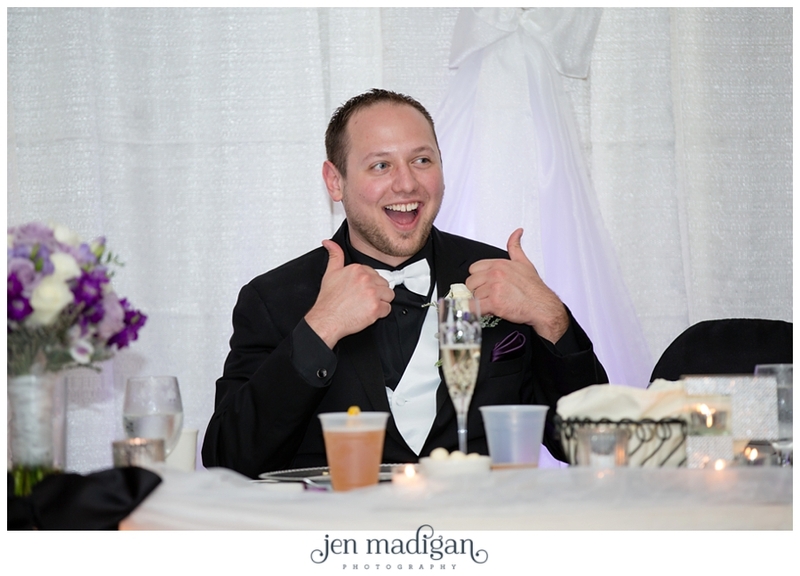 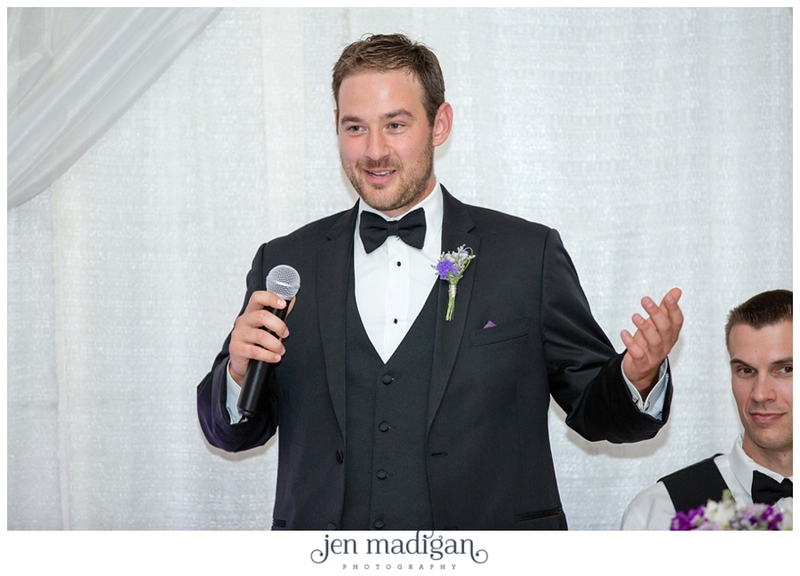 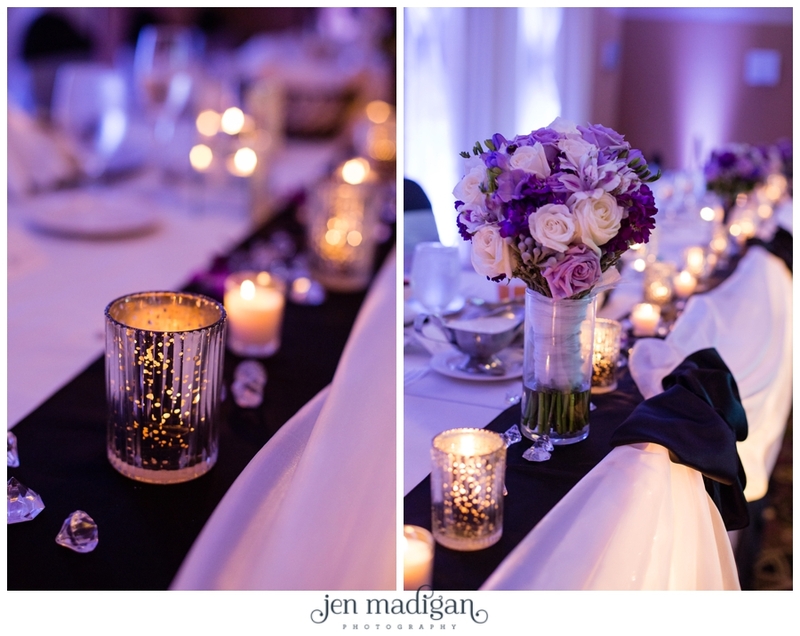 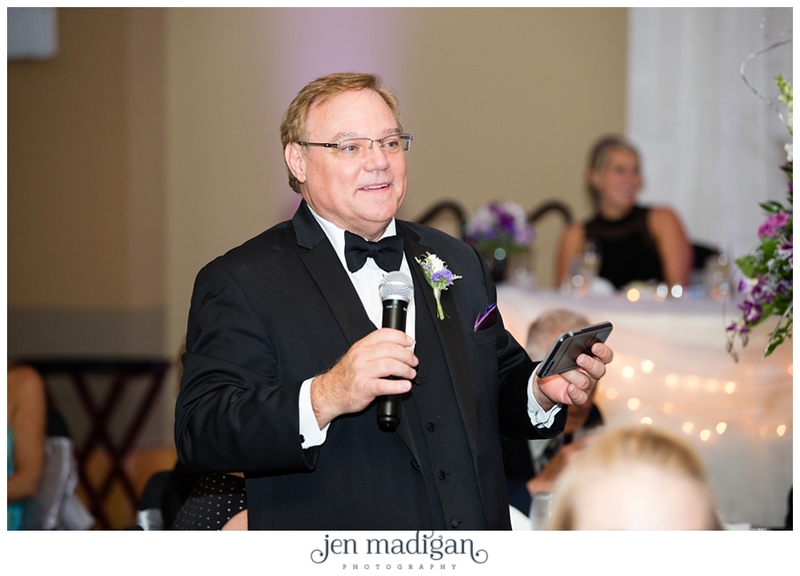 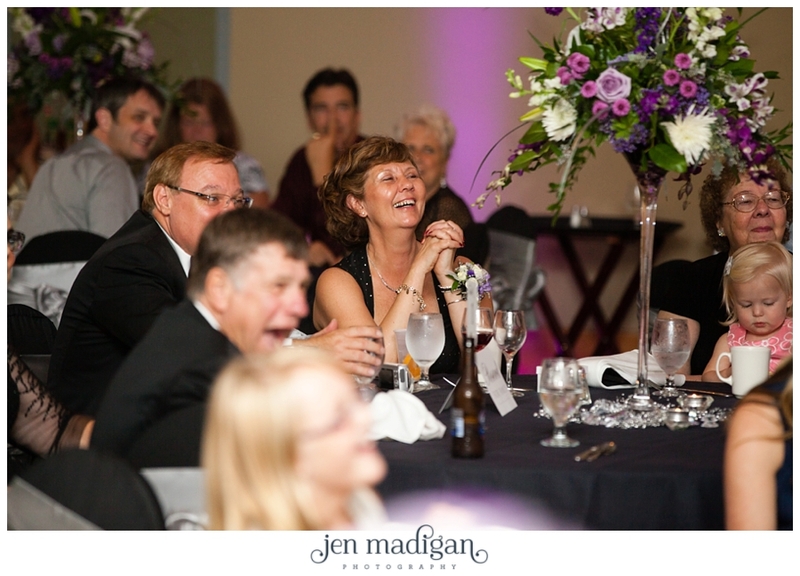 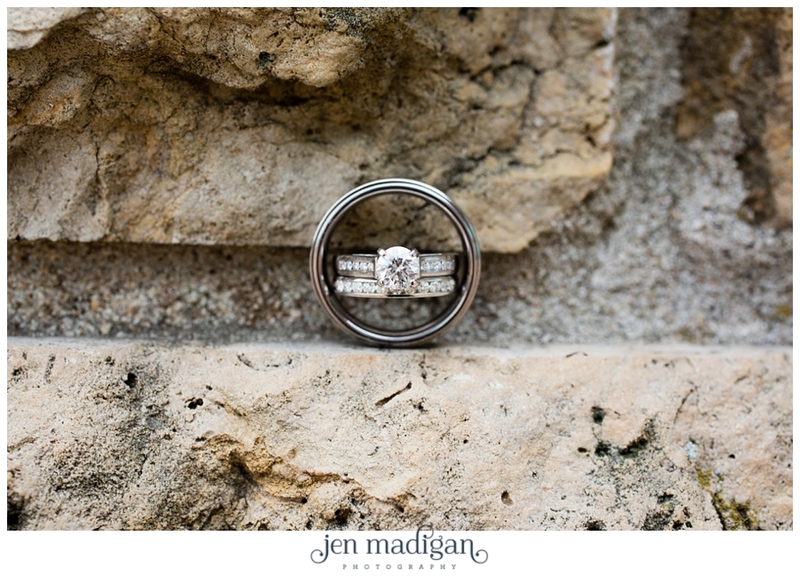 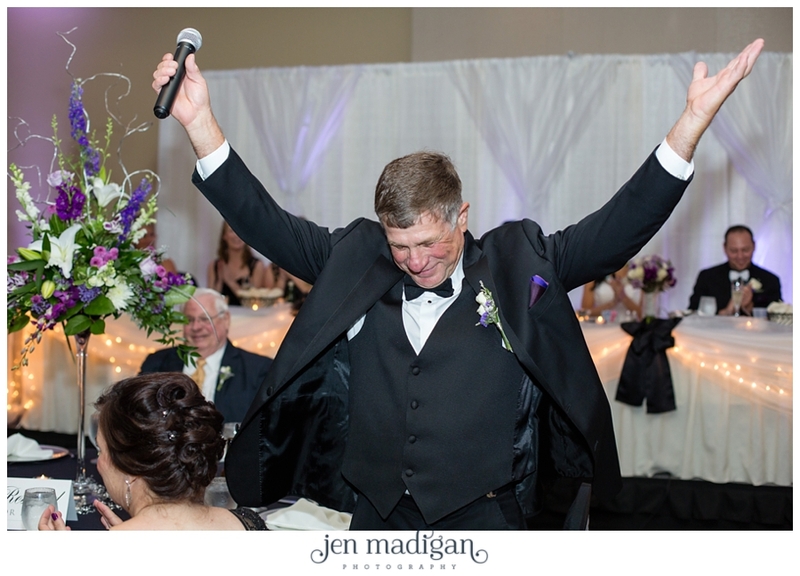 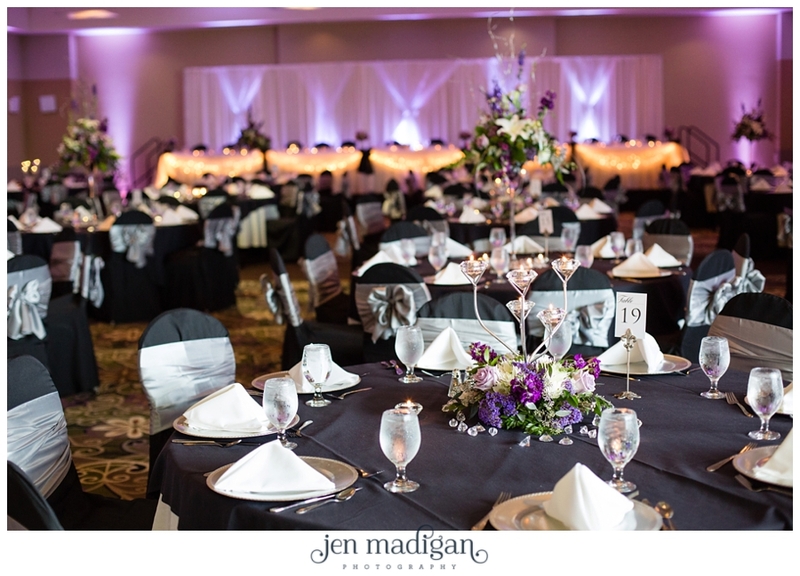 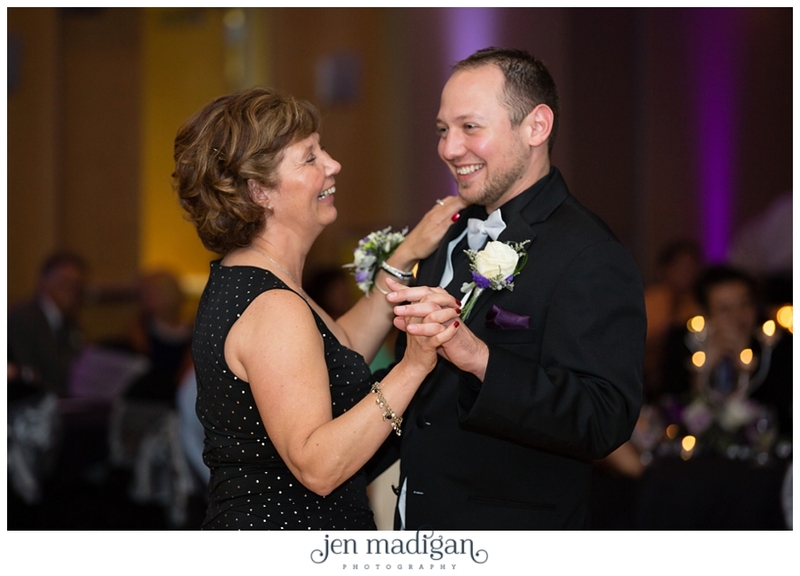 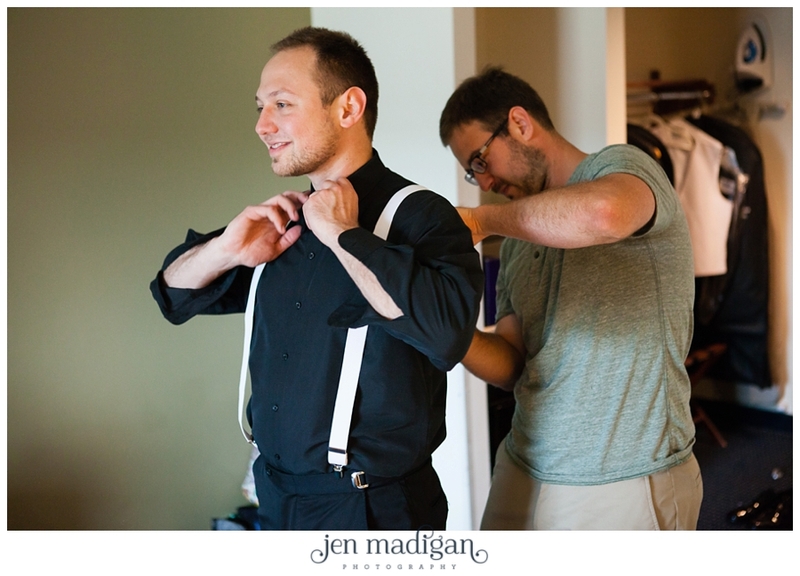 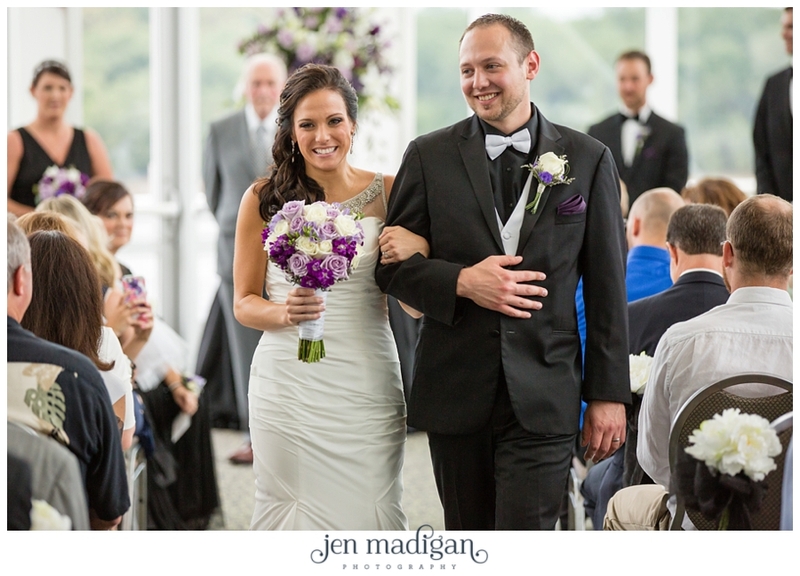 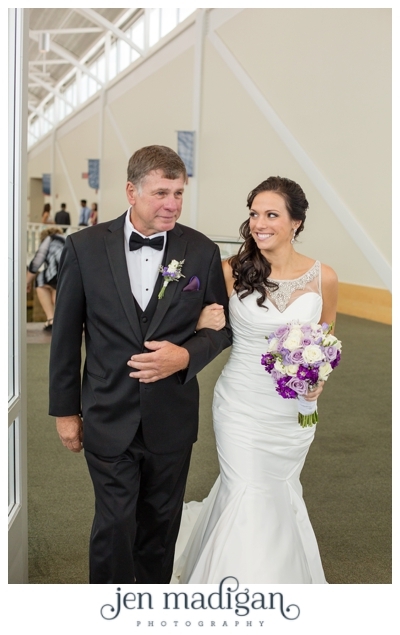 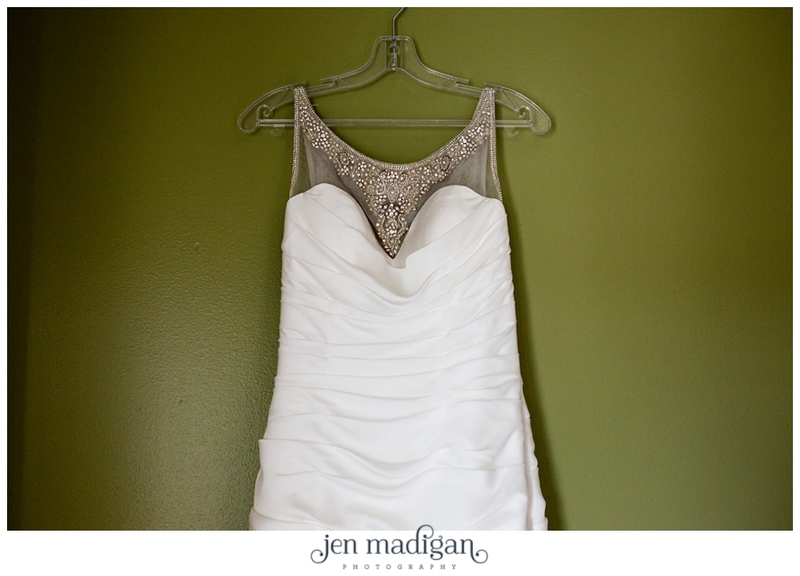 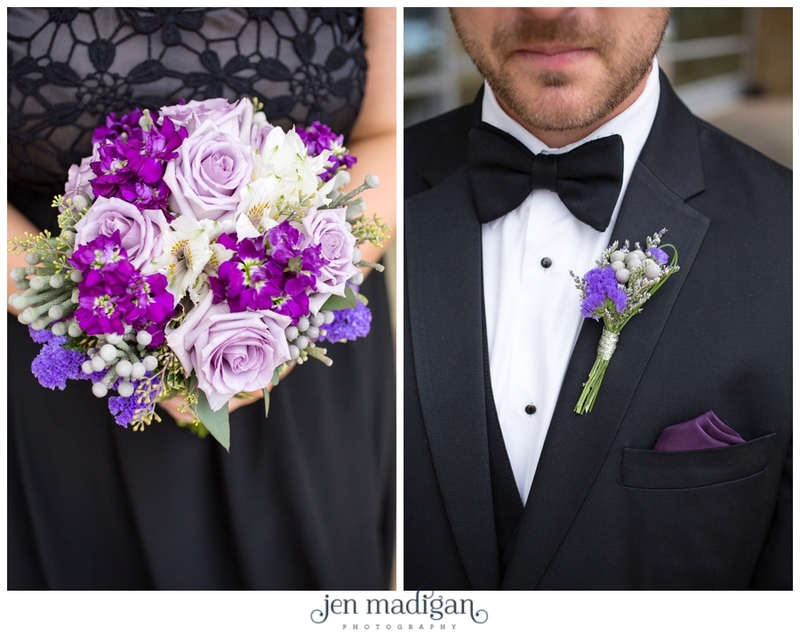 Their wedding colors were a classic black and white, with touches of purple. 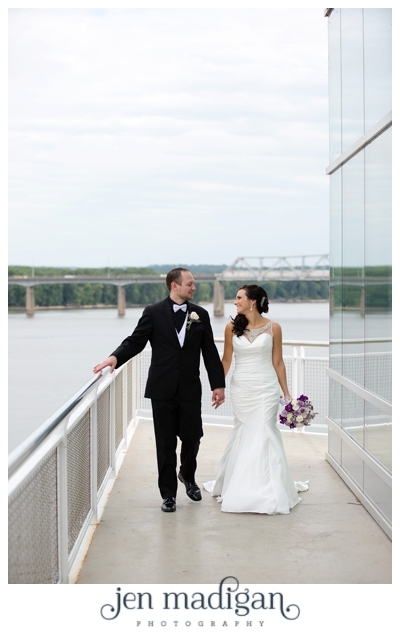 The river provided a gorgeous backdrop for their photos, especially from the balcony outside of the Grand River Room. 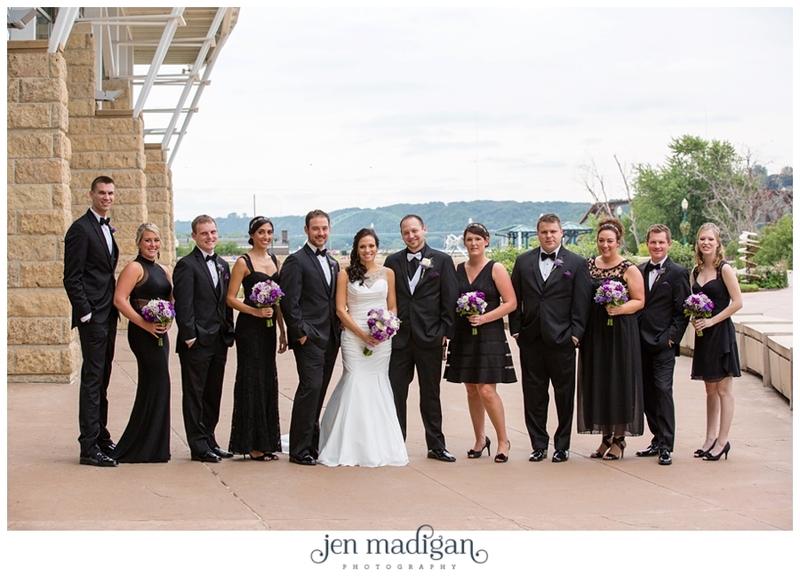 I loved how all of the bridesmaids wore black dresses of their choice, giving the bridal party a unique but classic look. 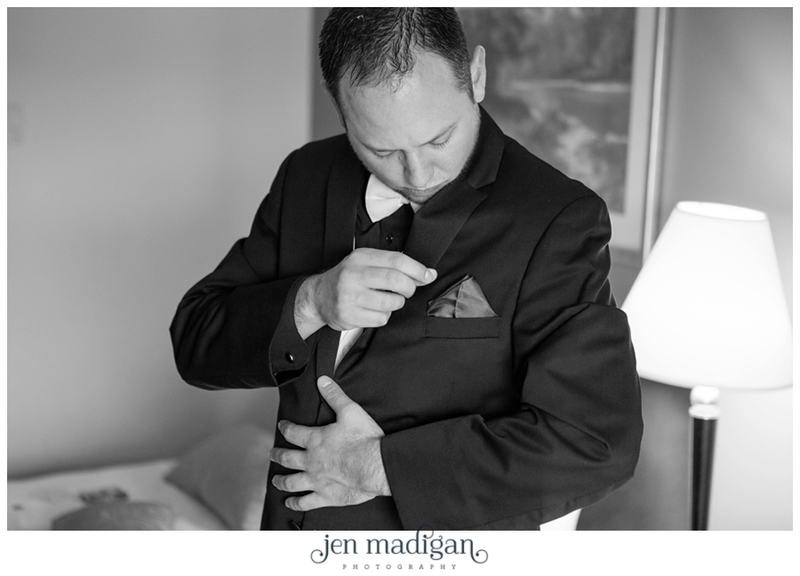 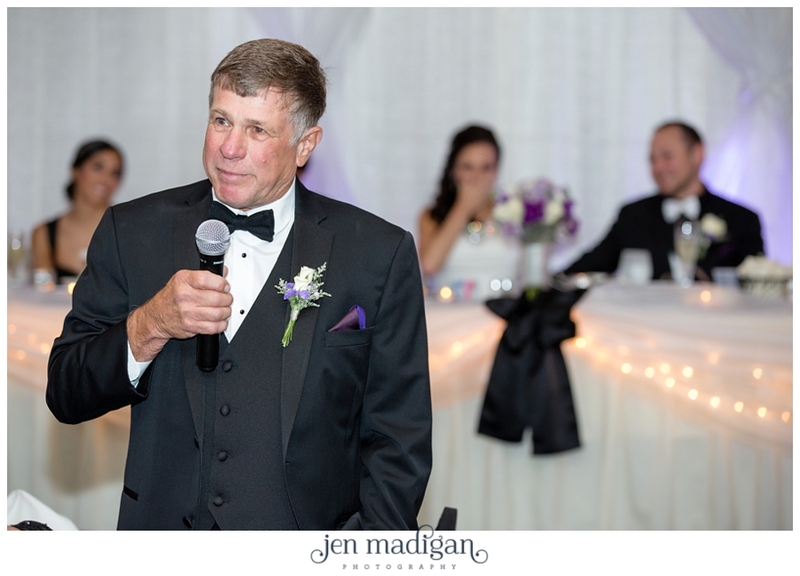 I really enjoyed photographing these two - Tony looks at Shayna like all grooms should look at their bride - like she was the only woman on the planet. 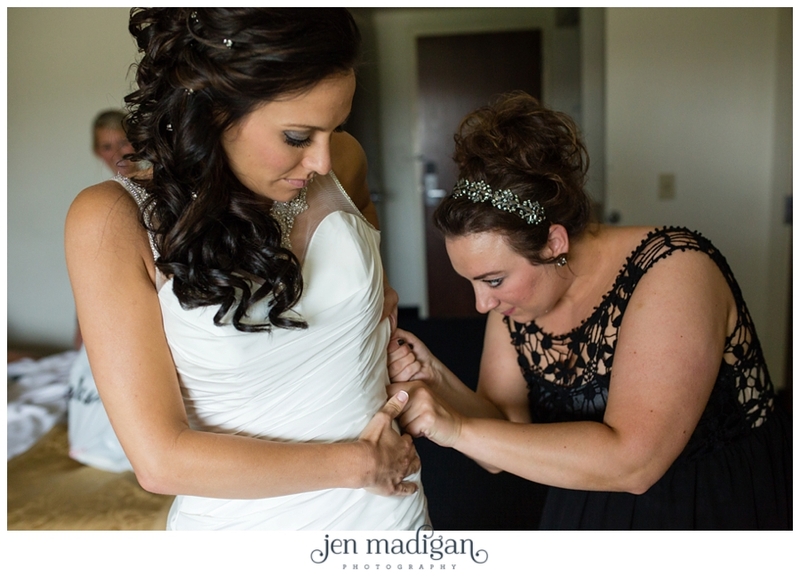 I wish these two the best, and hope that the love they felt on their wedding day stays with them always!